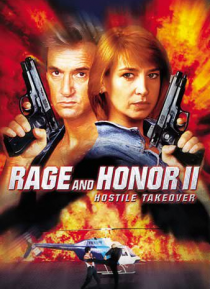 Black Belt Hall-of-Famer and five-time World Karate Champion Cynthia Rothrock returns for another action-packed adventure as Kris Fairfield-LAPD cop urned CIA operative. Fresh from training, Kris is dispatched to Jakarta, where a powerful banker is laundering millions in drug money-and where formerAustralian police officer Preston Michaels (renowned martial arts expert Richard Norton) is hiding ou… t from false murder charges. Their chance meeting lures Kris into the crossfire of a battle for a diamond fortune.